3 #Get current date and time in the moment. We will use Node.js for this example, as it can be helpful on a client(browser) and server(node.js). First, create one folder using the following command. Okay, now create the package.json file using the following command. 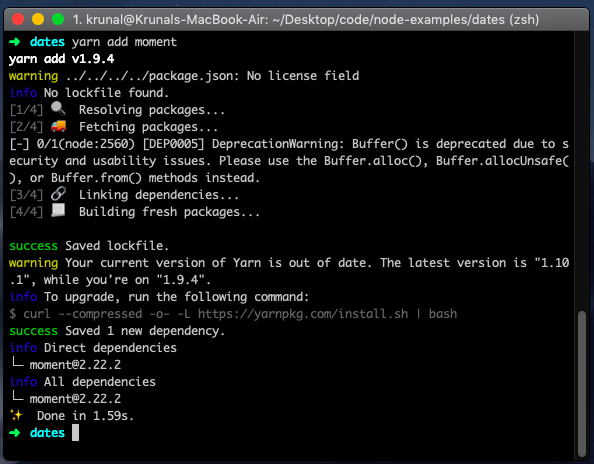 Now, install the moment.js using the following command. Now, create one file called the server.js inside the root and add the following code. 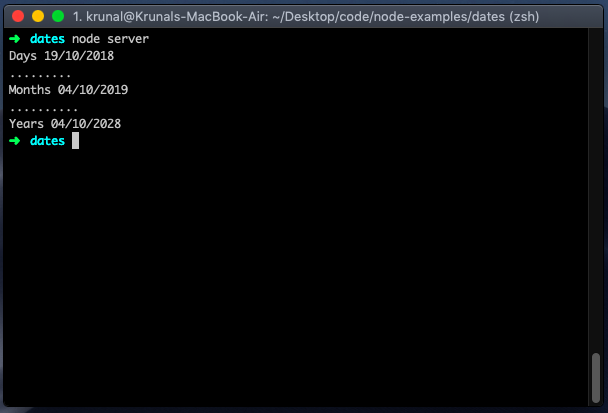 Save the file and go to the terminal and start the node.js server. You can see the today’s date as formatted. The moment() gives the current date and time, while format() converts the current date and time to the specified format. #Get current date and time in the moment. You can write the following code. There are some options for manipulating a moment object. For example, you can add or subtract the days, months, years, etc. You can achieve this manipulation via the add() and subtract() methods. Let us take the following example. Save the file and run the node server. There are some shorthand keys as well if you’re into that whole brevity thing. If you need to add multiple different keys at the same time, then you can pass them in as an object literal. Moment.js offers the way to compute the difference between two dates. The difference is computed in milliseconds by default, but can also be returned in days, months, years, etc. To compute a difference, call the diff() method on moment. The diff() method takes a date as its first argument. The unit of time can be specified using an optional second argument. Let us take an example of the difference between dates. 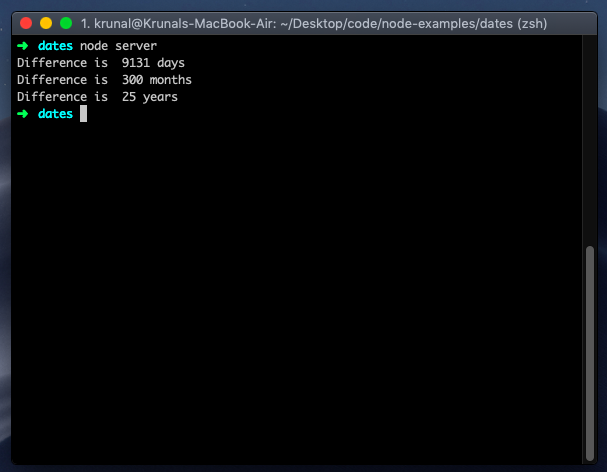 Moment.js also provides date comparison methods. These methods are isBefore(), isAfter(), and isSame(). As the names suggest, these methods return Boolean values that are indicating if one date is before, after, or equal to another date. The conventional way of displaying time is handled by moment#fromNow. It is sometimes called time ago or relative time. The syntax is the following. You can find more about on the moment official documentation. Finally, Moment JS Tutorial With Example From Scratch is over. Thanks for taking.